Somers Point Art in the Park is this Saturday from 10 a.m. to 4 p.m. The forecast for Saturday, June 16, 2018 is sunny, with a high around 79 F in Somers Point. I'm looking forward to being there in Kennedy Park for the 3rd Annual Art in the Park event, and I'm starting to plan out which pieces to take along. This event is focused on what they refer to as 2D art - paintings, basically. No sculpture, no crafts (including "fine crafts"), no jewelry. 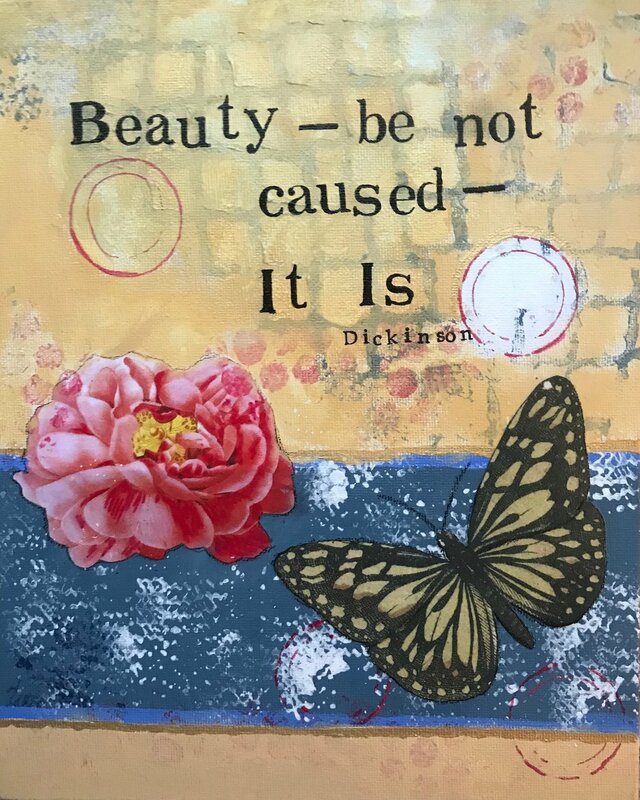 For sure, I'll be taking literary collages such as the four you see below (click on them to see them larger), along with greeting cards and several larger paintings. I'll for sure be taking "Flowerburst" along with me, along with lots of other larger works. 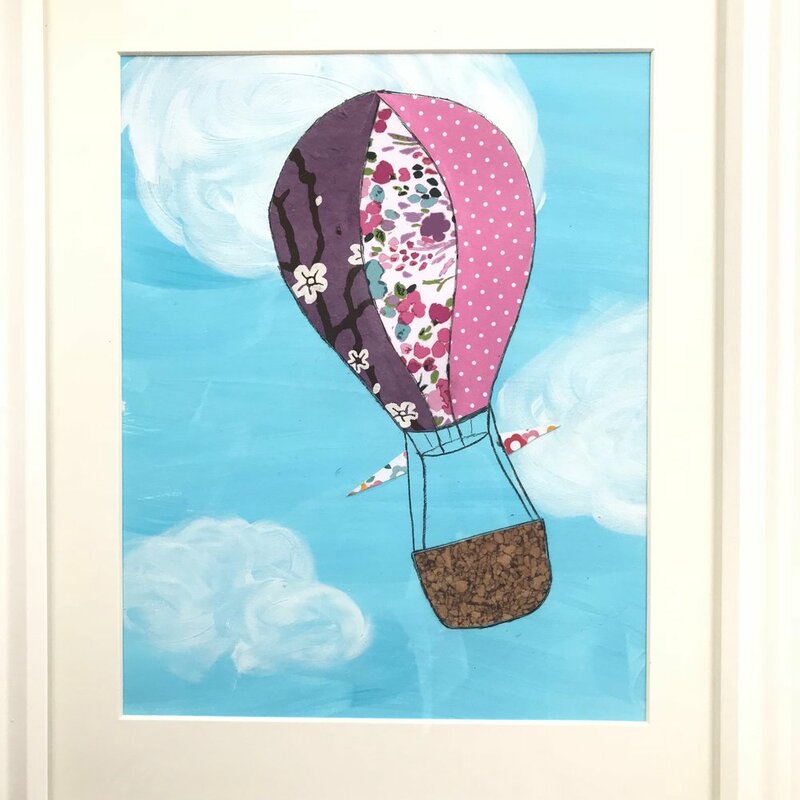 And I will definitely have hot air balloon and sailboat collages available for sale - they are perfect for summer, and would be the perfect addition to a child's bedroom or, well, basically anywhere you want some fun and whimsy. If you or a friend or loved one will be "down the shore" this weekend, I hope you will stop by during the day on Saturday to shop. And to see other artists working en pleine aire, visit the food trucks, listen to music, and more!